Having a flawless complexion is something that us girl's dream about, day and night. Although we should, and are told to try, our uttermost hardest to embrace our imperfections, it is very difficult when you have a huge spot in the middle of your forehead. 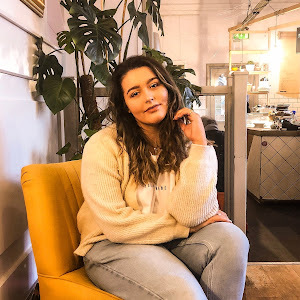 Personally, I am not very confident in my skin so I like to find tips and tricks to help me feel more comfortable in myself. 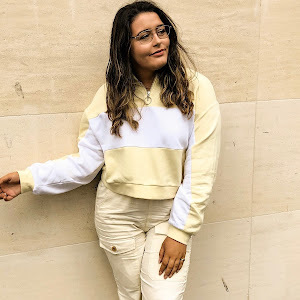 Here are few things I do to help my skin feel clean and flawless! 1. I'm going to start with something I am 100% guilty of (as you can evidently tell from the images above) - CLEAN YOUR BRUSHES. 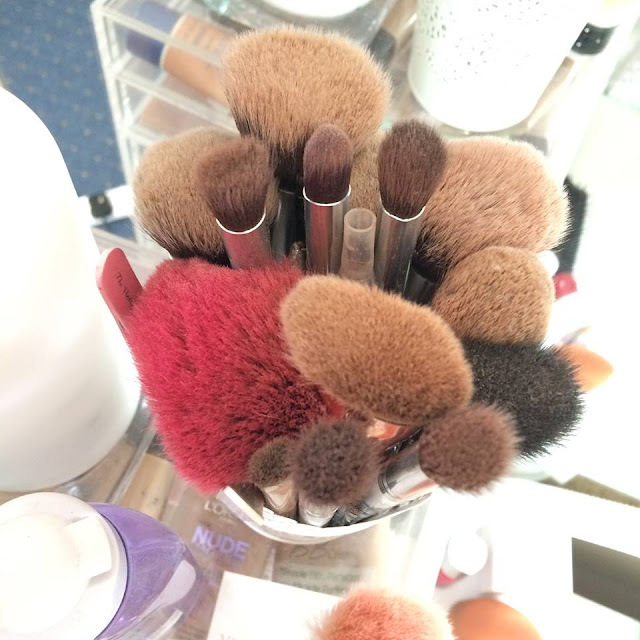 Washing your brushes is such a simple thing that we all forget to do - I always delay chores like this because it literally takes me forever to wash and dry all of my brushes. 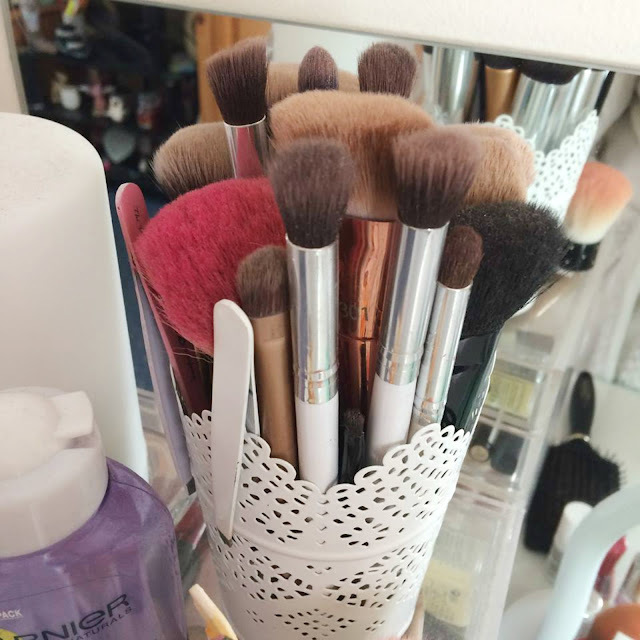 However, by taking the time to clean your facial brushes, it can seriously help your skin. Oils and bacteria swiftly build up in your brushes over a short time frame and we all know what excess oil and bacteria leads to...SPOTS! 2. 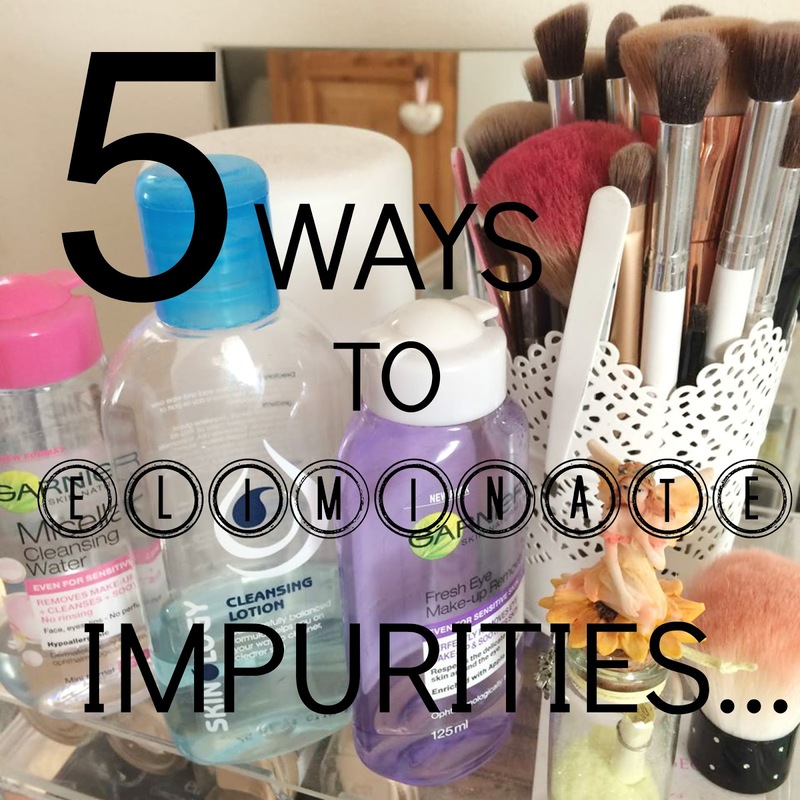 You've definitely all heard this before but maintaining a skin routine, personal to your own skin type, is beneficial when trying to eliminate impurities. Fortunately, I don't suffer with any extreme cases of spots or 'breakouts' but whenever a lovely spot forms on my face, it's HUGE! To try an avoid this as much as possible, I have a little routine consisting of cleansing water, eye make-up remover, cleansing lotion and moisturizer for my dry skin. 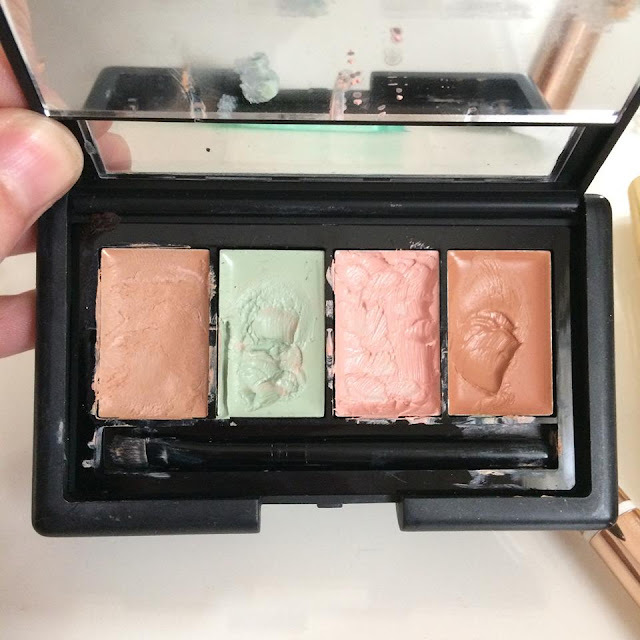 Although I don't recommend this, I sometimes take my makeup off using wipes when I'm feeling lazy. There is no harm doing this but just make sure you have nights where you cleanse your face properly to avoid sleeping in makeup overnight. That is literally the WORST mistake you can make. 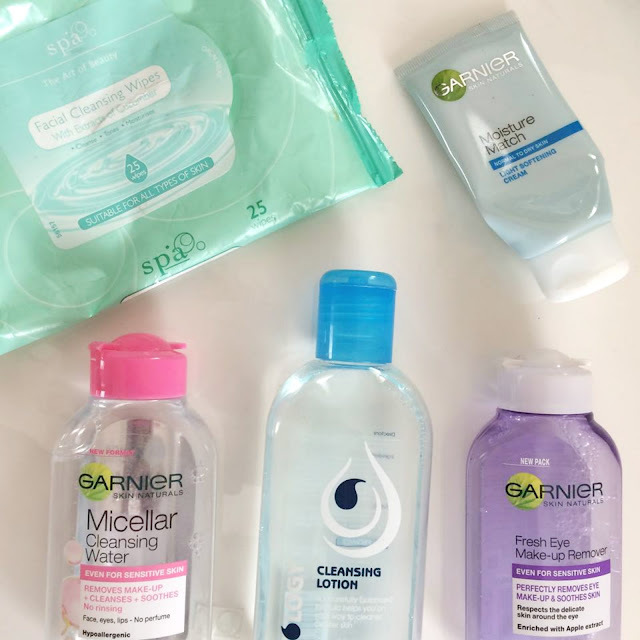 Firstly, I pour a small amount of Garnier's Micellar Cleansing Water onto some cotton pads and remove the majority of my base makeup. Following this step, I use the Garnier Fresh Eye Make-up Remover to take off my mascara, liner and eyeshadow. After my face is makeup-free, I take my Skinology Cleansing lotion and apply a generous amount to my face - this helps to remove any excess makeup that might be deeper in the pores or that I may have missed. 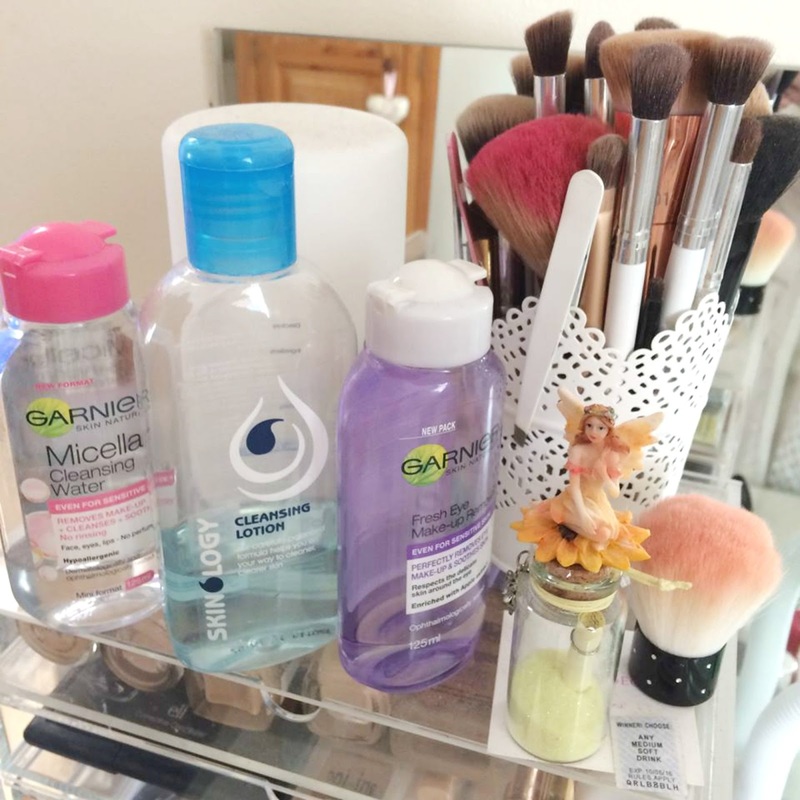 Finally, Garnier's Moisture Match for Normal/Dry skin is my ultimate dry skin saviour. I have non-stopped used this since the day I bought it. The creamy, smooth formulation is to die for and the smell reminds me of holidays! 3. One of my favourite ways to disguise my spots is to smother my under eye circles and spots with concealer. OK, maybe 'smother' isn't the right word but I can't help applying several layers of my two favourite under-eye concealers to hide the darkness. 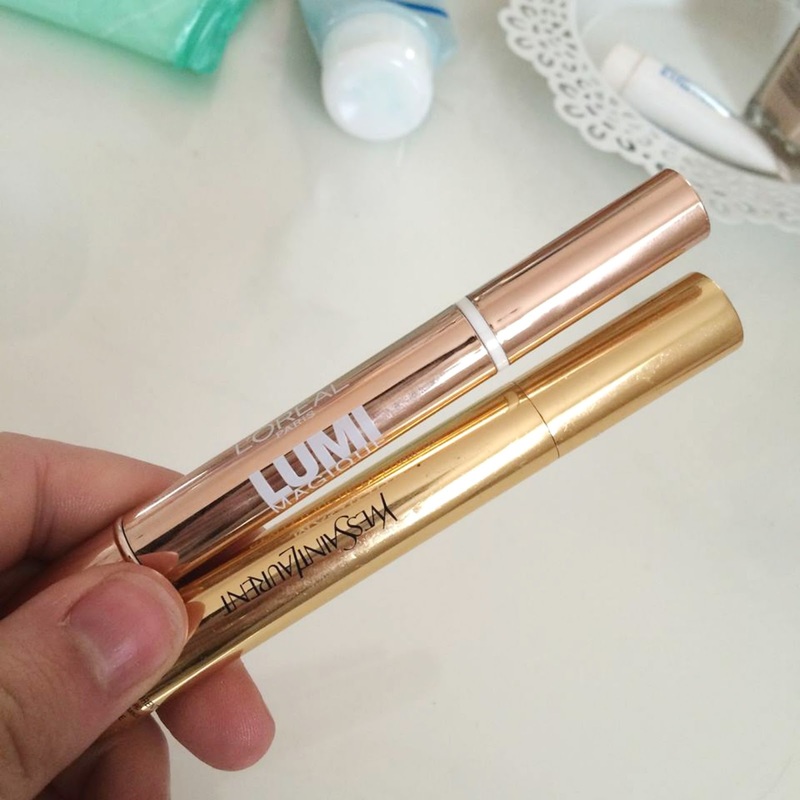 I highly recommend 'L'Oreal Lumi Magique' in light and Yves Saint Laurent Touche Eclat in '02' if you're looking to highlight dark circles. Their formulation is a dream, blending evenly into the right creases and areas on my face I wish to be disguised. Alternatively, if I have more time, I like to use my colour correction palette from E.L.F Cosmetics. Usually, I apply the green concealer onto my cheeks. 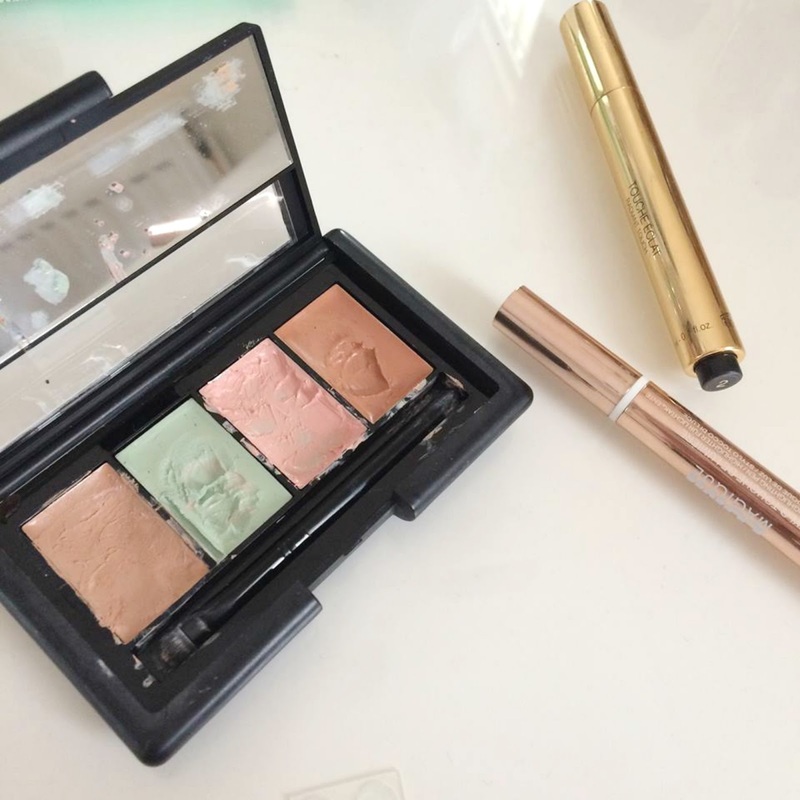 Green concealers are designed to neutralize red tones on the face and this seriously helps to minimize my rosiness. However, avoid using this on dark spots/areas as this can accentuate those areas, making them more visible. The pink concealer contrasts the green - wear this on dark circles or spots to gain coverage but not on areas of redness. 4. I guess this number 4 is sort of a hack? Cold metal is a great wait to counteract redness on the skin. Therefore, if my skin is particularly red, I place a spoon in the freezer and leave it for 10-15 minutes. 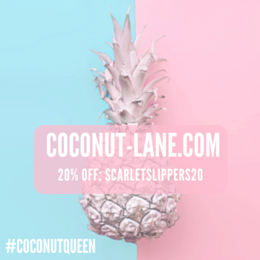 This seriously helps to reduce the redness on my cheeks and it is such a simple and quick way to achieve an even skin tone. 5. My favourite of them all. If you are feeling unconfident in your skin or with a particular spot on your face, drawing attention to other areas is key. Personally, I love to use dark colours on my eyes or lips to accentuate them. Tip: Use your favourite facial feature to your advantage - whether it be your cheekbones, lips or brows - flaunt your most-loved feature by using makeup products to enhance them. 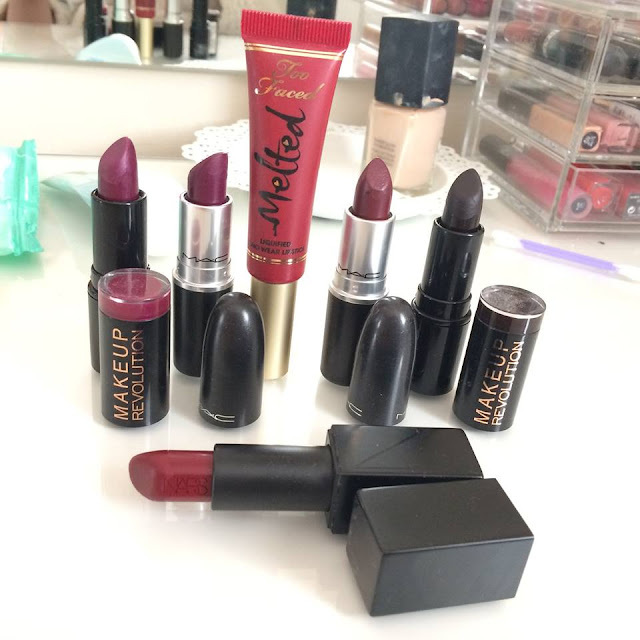 I love to wear dark lips so above are my top 6 lips I switch between when my skin is being disastrous. What do you do to eliminate spots? What is your favourite skincare product? This is such a great post. I loved reading about all your secrets and tips! Loved the spoon one! Love these tips. I've been suffering from quite bad cystic acne for a while now and nothing seems to completely clear it up. Drawing attention to other areas of the face is key, and I try not to pick or rub at my spots as I know it'll just aggravate them more! 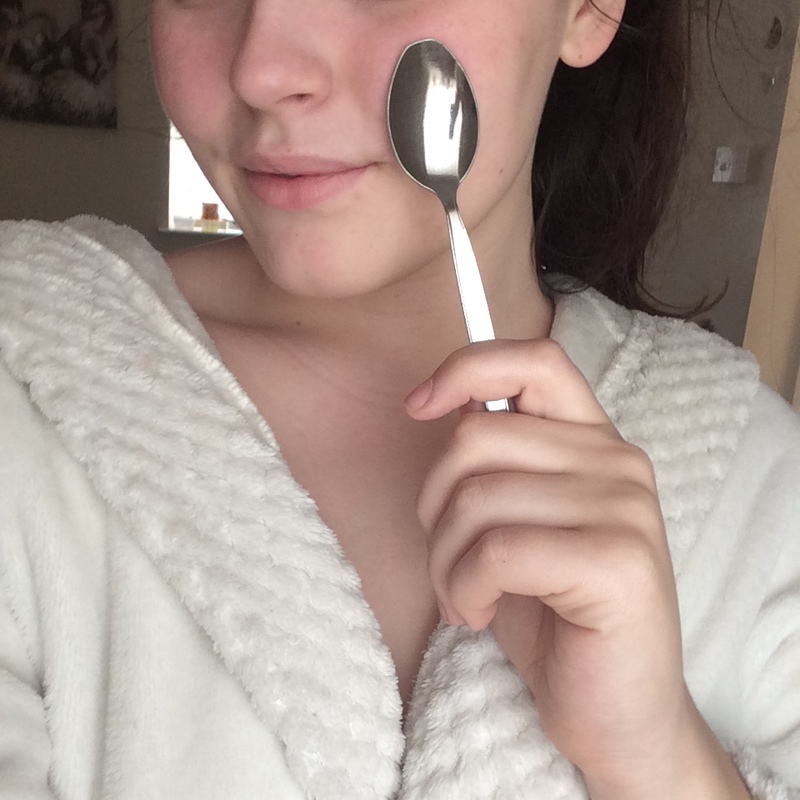 The spoon trick has really intrigued me, I've never heard anything like it before!